Get RockJam Karaoke Party Pack with 2 CD+G's Discs (Pink) from Amazon.co.uk. 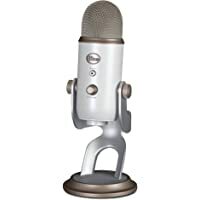 Get Blue Microphones Yeti USB Microphone (Vintage White) from Amazon.co.uk. Get Easy Karaoke EKS126 Karaoke Machine (Pink) from Very.co.uk. 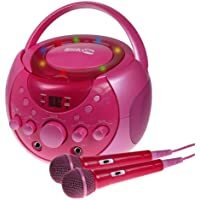 Get Karaoke B15T 5 in 1 Studio Karoke Machine with Camera (Pink) from Toys R Us.